Four versions of the seventeen minute documentary film are available on Youtube as listed below. Too often we treat film like a text in a class: students should understand plenty of the words, figure out the general meaning, do some specific hard spots in detail, and have cultural points emphasized somehow. At the intermediate level, however, an instructor can get a great deal of student reaction to short clips. It may show they did not "get" 25% of the dialogue or narration, but if the intent is to have students are challenged to react, by identifying, conjecturing and stating opinion, the exercise can be very effective. Without any language preparation, a clip can be introduced with one or two questions to promote an active viewing for any answers. It is also effective to show it once, discuss the questions, then show it again in light of comment or controversy and discuss again. Very effective clips can be those with characters in a discussion or confrontation. For this activity, a short segment from a feature film is excellent. Often the dialogue is, however, too idiomatic for lower than the intermediate level. One solution is to take from the new hypertext world of the World Wide Web and provide students with material that they can explore in various ways. To this end, a carefully crafted documentary film can be superior to a feature film. A documentary offers natural speech that illuminates a topic in a systematic manner. 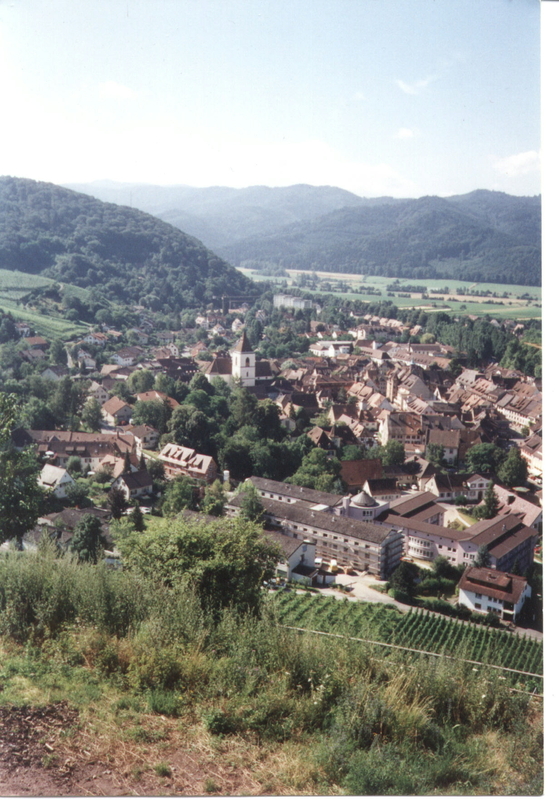 This short documentary film on the small German city of Staufen in Breisgau, entitled Staufen im Breisgau: die historische Fauststadt (Staufen in Breisgau: the historical city of Faust), was filmed with significant student input. Subsequently, the many hours of footage have been edited down to one rich, descriptive film, which includes four important interviews. 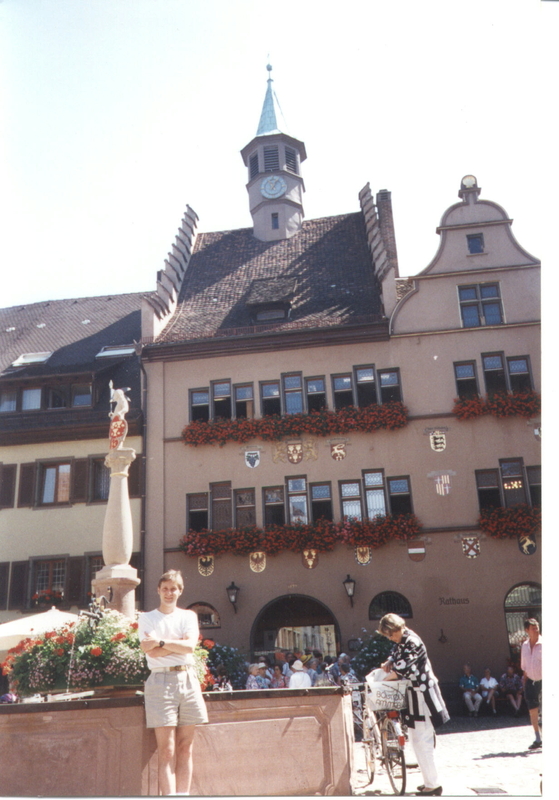 The major of the town, a tour guide, the director of the local high school and a vintner all present information and opinion. 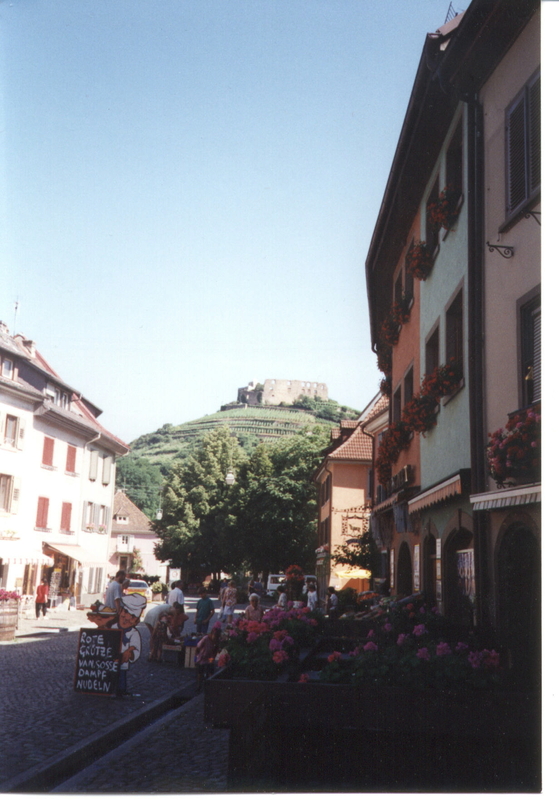 The film also includes a significant summary of the historical development of the city from medieval times to the present day, focusing on Staufen's most famous citizen: Doktor Johann Georg Faust, the real figure behind the literary images. The film was then adapted for student use in the following manner: two identical texts, incorporating the interviews, were written in German and English, so that four film versions were possible. These versions represent levels of ability in German and make the film very useful.